API: Application Programmable Interface. For those in the know, this term is as everyday as “the cloud,” “app store,” or “WiFi.” For those not in the know, however, it might as well be an excerpt from a language belonging to an undiscovered species of extraterrestrial life. You might Google what an API is and you’ll probably get a result along the lines of “allows one piece of software to interact with another piece of software.” Although technically accurate, this description barely scratches the surface of the huge possibilities that lie behind this humble three-letter acronym. 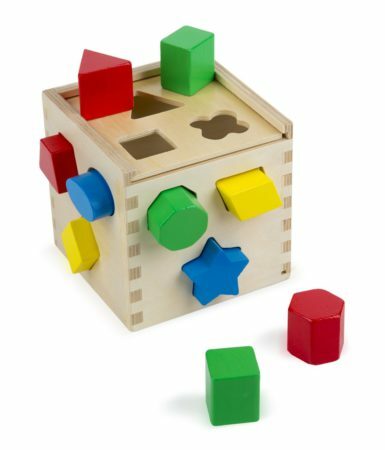 One of the most straightforward analogies for APIs likens it to the classic shape-sorting toy box. The shaped pieces such as triangles and squares can be considered data and the lid, the interface. Shapes can move in and out of the box through the correct hole in the lid. Similarly, an API expects data in a certain format and its interface will reject it if it falls outside of this. Each software vendor that provides an API will have its own custom shaped pieces (data), lid (interface), and set of rules that govern their interaction. Great…but why all the hype? APIs allow developers to code a new program or app incredibly quickly. Rather than having to develop an entirely new app from scratch, developers can leverage existing data and processes, and simply code in additional customization. In this way, an existing app can be used (via APIs) to create a new one to satisfy a unique variant of the use case the original app addressed. Let’s consider an app called Citymapper. Although its functionality is now largely similar to Google Maps, thanks to some updates to the latter, it was quite novel when it first appeared on the scene a few years ago. Citymapper leverages Google Maps (and all its data and processes) via APIs to provide routes from A to B in select cities around the world but also provides all the real-time transportation options available for the given city such as train, bus, walking, taxi, etc. Citymapper’s developers would have found it almost impossible to code the app if they had to code a substitute for Google Maps too. Additionally, Citymapper doesn’t have to worry about the gargantuan task of keeping the map data up to date. What’s the deal with Meraki APIs? From our very beginnings, our fundamental focus has been the extreme simplicity and usability of the Meraki dashboard. In some specific use cases, however, avoiding complexity is… unavoidable! In trying to add functionality for specialized and unique use cases, we would potentially compromise the very simplicity that we’ve worked so hard to synonymize ourselves with. Our strategy to address these outlying applications, without complicating the beautiful simplicity of the dashboard, is to invest heavily in open APIs while continuing to develop functionality directly in the dashboard to solve customers’ common problems. This allows our customers, partners, and developers to extend the reach of the Meraki platform to build more specialized use cases. A closed software platform can be thought of like a board game: it has a fixed set of rules and options leading to a fixed set of scenarios or outcomes. If you get bored of a particular board game or outgrow it, then there’s only one real option: move on to a different board game. And so the cycle starts again. In contrast, a software platform with open APIs, like Meraki, can be thought of like a deck of cards. A deck of cards isn’t constrained by a fixed set of rules. With one deck of cards you can play dozens of variants of poker. If your audience doesn’t know how to play poker or prefers a different game, that’s not a problem. The same deck can be used to play blackjack, solitaire, rummy, go fish… you could even invent your own game! The options are endless. The same is true for the Meraki dashboard with its open APIs. The dashboard natively collects huge amounts of data about clients, location, application usage, etc. While there are ways to manipulate this monitoring information within the dashboard itself, the possibilities open up exponentially when you can export this information in real time. And even more so when you couple this with the ability to execute configuration commands through APIs. Meraki customers, partners, and developers are using the open APIs to expand the use cases of the dashboard: from rolling out sophisticated loyalty programs integrated with CRM systems, to developing wayfinding apps relying on the location information captured by Meraki APs, to automating Meraki network provisioning across thousands of locations in the matter of minutes. Meraki is committed to helping developers get up to speed with Meraki APIs to create novel ways to expand the potential of the dashboard. Get started with Meraki APIs, learn about real-life applications, complete labs, and download sample code at the Meraki developers site. We’re giving away $1M of Meraki equipment to developers who are eager to get hands-on with the APIs. Get your free kit here. Our engineers are continually adding new APIs for the dashboard. Check out the latest list directly in the dashboard (Help > API docs).